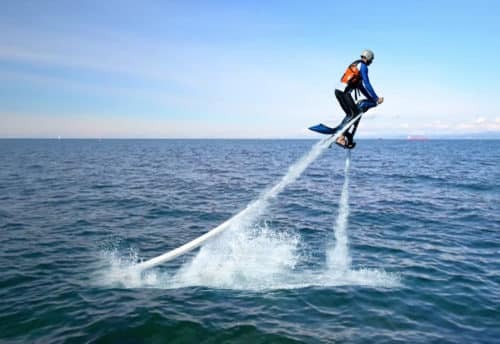 Want a sport challenge on the water? Book a kayak for an amazing discovery of the city of Dubai to explore a unique environment. You will sail to places where other boats do not have access. You can admire beautiful places, discover the beautiful beaches that stretch for several kilometers, see fish and sea turtles. It is a fun activity to share with friends or family. The kayaking activity is a great exercise and experience that gives you a low water view that immerses you in the experience. Whether you want to tour the sea or enjoy the view with a partner or friend, kayak is the choice for you. Skyland tourism offers high-quality stable kayak rentals for adults and children. You feel in harmony with the ocean wildlife and gain unique experience as you guide through the waters with each windmill stoke. First timers or loyal users, you will enjoy amazingly the facilities we are offering for your aquatic experience in Dubai. Our instructors guide and provides beginners’ lesson for first timers, ensure the kayak is safe before it hits the water and will keep an eye on you during all your session. Book your experience in Dubai at Skyland tourism by First Yacht in La Mer today. Go on our booking page and choose your date and time before it gets full. Kayak prices starting from just AED 65. Have you ever been in a yacht before to experience your dream holiday? Sadly, not everyone can have the opportunity to experience its magic or own one especially if it’s as luxurious as the super yachts of Dubai. But surely, words will never be enough to describe your feelings – if you happen to holiday even for just a few days inside it. The best part, it’s as if you’re in a world of your own, especially when it’s a private yacht you’re in. There are no noisy and rowdy crowds onboard, your craft will be docked in a secluded small port or an exclusive marina, and above all, you’ll be at the heart of fascinating cities. Once you’d like to get off, you can swim or kayak all you want without having to line up and wait for your turn. Explore the waters on board a kayak or just frolic in the sun by the beach or pool. Relaxation goes a long way, even up to the restaurant and bars. The best part – you can buy this deal even if you don’t have a credit card. Kayaking is an exhilarating sport that everyone can enjoy. 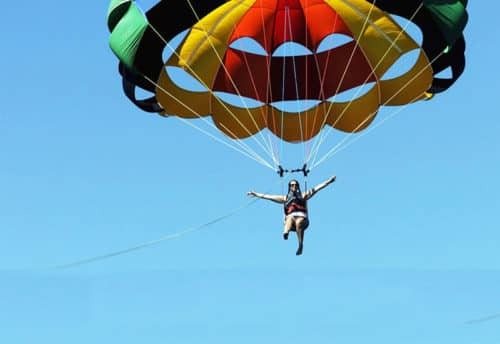 Moreover, the beautiful beaches of Dubai are the best place to experience any kind of water sports. So, why not give yourself gift of a kayak lesson in Dubai today? Whether you have never got into a kayak in your life before, or whether this is a sport that you have loved for many years, you will have an unforgettable experience gliding through the waters of Palm Jumeirah in your kayak. Some people come to kayak lessons with their own kayaks, while some prefer to hire equipment. 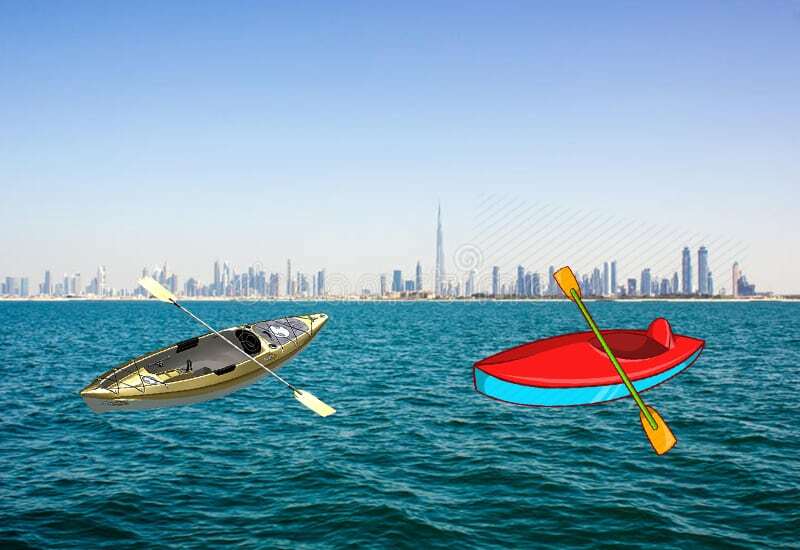 Both options are totally find when you choose to take lessons, and there are so many places where you can hire a kayak in Dubai, get a paddle or purchase equipment such as a helmet or a wetsuit – or some specialised kayaking gloves for extra grip – to ensure that you can make the most of your lessons. Your kayaking instructor will be able to help you choose the best equipment if you are unsure. Kayaking is a fun and rewarding hobby, and it is great exercise as well. So, what are you waiting for? There are plenty of expert and experience kayak instructors in Dubai ready and waiting to get you started. So, why not book yourself a lesson right now and get ready for a wonderful experience and memories that will last a life time? 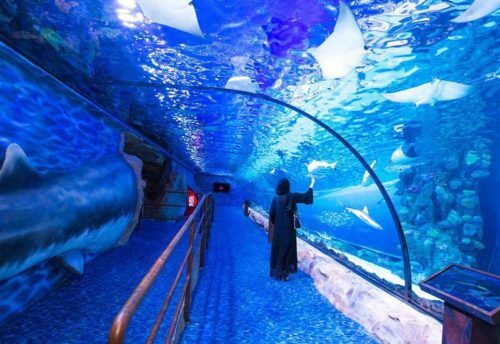 Dubai Aquarium & Underwater Zoo has everything to keep the whole family happy.